Another week, another chance to dominate with some value picks for Week 6 on FanDuel for wide receivers, running backs, quarterbacks, tight ends, kickers and team defenses. Who doesn't love some FanDuel Week 6 value picks!?! Here we are one-third of the way through the regular season, basically, and we can all take a good look at the NFL offenses and defenses and assume – this is what we have for 2015. In other words, we know that the Arizona Cardinals offense is no joke with a healthy Carson Palmer under center. We know that the Broncos and Eagles offenses aren’t what we had hoped they would be before the season began. We know that the Broncos defense, however, is stout against the run and deadly against the pass. We know that both the Jets and the Bills defenses seemed to benefit from the move of Rex Ryan from East New York to West New York. We know that the Jaguars are improved – but they’re still the Jaguars. We know that Jameis Winston isn’t going to be breaking any rookie records just yet. There were only three wide receivers with over 80 FanDuel points last year at this point, but there were six WRs to hit 80 points by Week 5 this season. Even better, there were seven wide receivers that scored 70 points by Week 5 of 2014, but there have been more than twice that this season (16). And that’s without the talents of Dez Bryant, Jordy Nelson and Kelvin Benjamin! 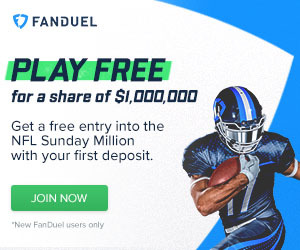 Keep all that in mind as you fill out your FanDuel lineups! After posting our Week 6 Fantasy Football Rankings, and going through the FanDuel salaries, I came up with a couple of my favorite value plays at each position for the upcoming weekend of NFL action! Matt Ryan, Atlanta at New Orleans ($8,100): I love Ryan in New Orleans this week. Last season, Matty Ice threw for 780 yards and four touchdowns in two games against the Saints, and things look even better this year. Teddy Bridgewater, Minnesota ($6,600) vs. Kansas City: This one’s pretty easy to dial up. The Optimal Lineup Tool tells us it’s the best value at quarterback, and it makes great sense, as the Vikings face a really bad passing defense. Dion Lewis has earned a spot among the elite backs. 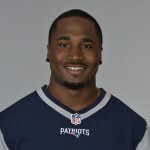 Dion Lewis, New England ($7,200) at Indianapolis: The Colts defense is average at holding opposing running backs to low Fantasy points, but this Patriots offense is geared up. Remember, this is the week they get Tom Brady back from suspension! … Oh no, wait. Antonio Andrews, Tennessee ($5,400) vs. Miami: I actually like the Dolphins defense to come back off the bye better than when they went on it, but Andrews’ price is too good to bet against. The sophomore running back out of Western Kentucky is solid around the goal line, and the Dolphins have been shaky. I like this as a GPP play this week. Julian Edelman, New England ($7,900) at Indianapolis: I’d split Lewis and Edelman up on separate 50/50 lineups, but getting possibly the top wide receiver this week for under $8,000 is a great deal. Leonard Hankerson, Atlanta ($5,800) at New Orleans: Ryan should get multiple touchdowns in this game, and we know Julio Jones will get at least one of them. Hankerson’s a cheap bet to get one of the others. Antonio Gates, San Diego ($5,500) at Green Bay: The future Hall of Famer is still working with a discounted salary, making him a fantastic buy once again, rivaling Rob Gronkowski in all cash games. Zach Ertz, Philadelphia ($5,000) vs. N.Y. Giants: It’s time to bet on Ertz, even though he has shown little life this season. He did come alive last week, catching five passes for 60 yards, and the Giants pose little threat to tight ends, allowing the third-most Fantasy points to them all season. Matt Bryant, Atlanta ($4,800) at New Orleans: Can you tell I’m all in on the Falcons this week? He has missed just four field goals in 39 attempts in 19 career games against the Saints. Phil Dawson, San Francisco ($4,600) vs. Baltimore: Looking for a bargain kicker in a GPP tournament? Well, look no further! The 49ers offense isn’t great, but the Ravens defense bends a lot between the 20s, allowing 3.00 field-goal attempts per game. Baltimore Ravens Defense ($4,700) at San Francisco: Speaking of the Ravens defense, giving up three points can be a good thing, especially if you’re going against a 49ers team that allows the third-most points to opposing Fantasy defenses. Green Bay Packers Defense ($4,700) vs. San Diego: The Chargers are allowing nearly three sacks and an interception per game so far this year. Good luck in Week 6, and make sure you run your prospective FanDuel lineups through the Fantasy KnuckleHeads FanDuel Optimal Lineup Tool!